More commonly referred to as Stavol, its function is to keep the sudden surge of electrical voltage coming into one / some electronic devices. Simply put, the work process is to temporarily accommodate incoming power, then channeling it to electronic devices only limited power consumption and voltage requirements of the device. 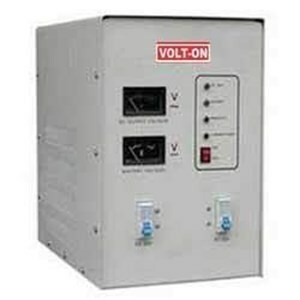 As a voltage stabilizer an electrical Stabilizer has a working system in which the unstable currents and voltages are accumulated and then out to an electronic device with a stable and suitable current. Up and down electric current voltage of course make this device is needed for electronic device that you have can beroeprasi well and have long endurance. Because if overflow currents and you do not have this device most likely your electronic device is damaged big enough. You can contact PT. Star Delta Triputri to get an electric Stabilizer that suits your needs for both commercial, commercial and industrial buildings.